There were fewer comments than usual, but those comments were impressively observant. Lena got stuck in, identifying the element as a long, thin ungulate humerus and narrowing it down to a camelid. 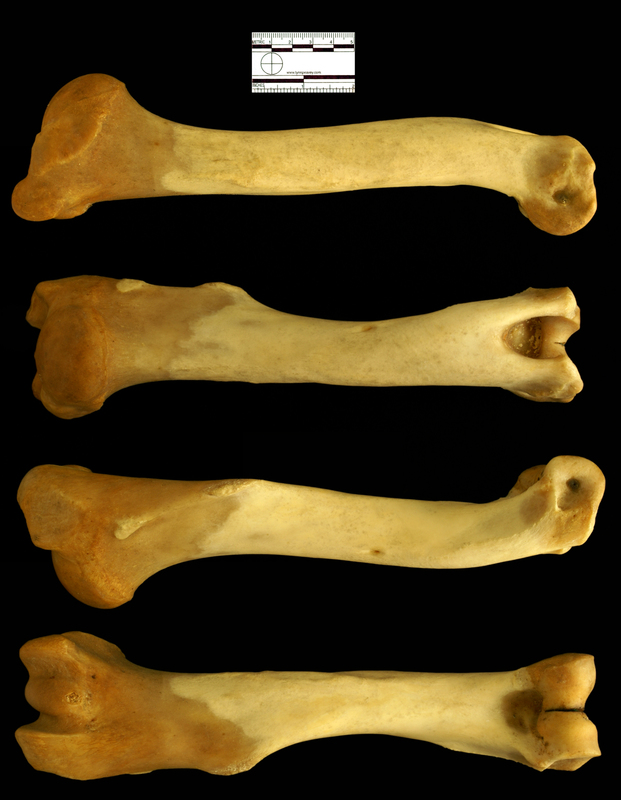 Mikolaj Lisowski noticed the low proximal epiphysis (the end of the bone that is connected to the shoulder) and suggested that it might belong to a Llama Lama glama (Linnaeus, 1758), an opinion also tentatively supported by Ric Morris. The low crest at the shoulder end of the bone combined with the bit that sticks out a third of the way down the bone (the deltoid tuberosity, where one of the muscles of the shoulder attaches) is fairly diagnostic for the Llama. 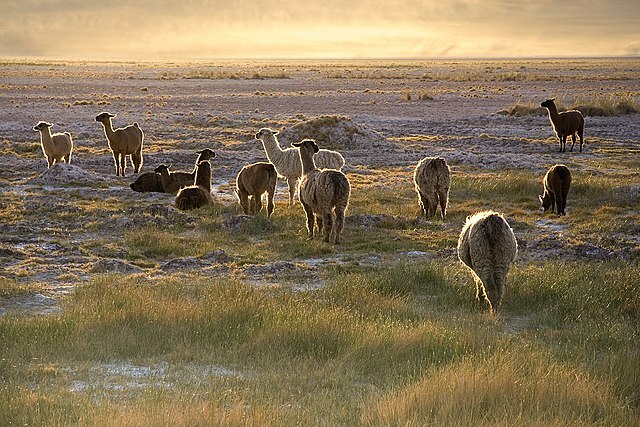 Llamas are the domestic descendants of the Guanaco Lama guanicoe (Müller, 1776). They look superficially a bit like sheep, although they’re actually part of the Camel family. They originate in South America and are generally associated with highland areas where they are used as beasts of burden, a source of wool and as food. Llamas are now also becoming well established as domestic animals in other parts of the world. Their ability to be trained and their ‘cuddly’ appearance makes them increasingly popular as pets and livestock in small-holdings and urban farms. They can also spit a wad of cud with remarkable accuracy and they have an aggressive dislike of canids, which means they make effective deterrents against foxes and coyotes when they cohabit with sheep. They may look cuddly, but Llamas mean business!